Provide comfort for the family of Rick Mercer with a meaningful gesture of sympathy. 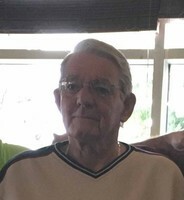 Passed away peacefully Wednesday, January 16, 2019 at Matthew's House Hospice in his 71st year. Loved dad of Troy Mercer and Chris Richardson. Loving grandchildren Cody, Cooper, Cameron and Sydney. Arrangements entrusted to Drury Funeral Centre 705-435-3535. Alliston’s Attic and ACCS sent flowers to the family of Rick Mercer. George and I worked with Rick and he always gave of his time, energy and expertise. Although Rick has left that's not the end of his story. That's the end of his part in our story. Death leaves a heartache no one can heal, love leaves a memory no one can steal. We all truly cared for Rick and he will always be remembered. A wonderful man he will be missed! Alliston’s Attic and ACCS purchased the Sweet Tranquility Basket for the family of Rick Mercer.